This statement and your Figure 1.2 imply that the bubble was massive and should have been obvious to almost anyone. My focus is on understanding how very few saw this massive bubble and/or predicted its bursting and whether as the CEO of a major mortgage lender, I should have seen it coming. No one ever brought it to my attention. In fact, I recall Fed Chairman Greenspan say as late as 2005; ”not likely we have a speculative housing bubble” and citing very logical reasons why not. 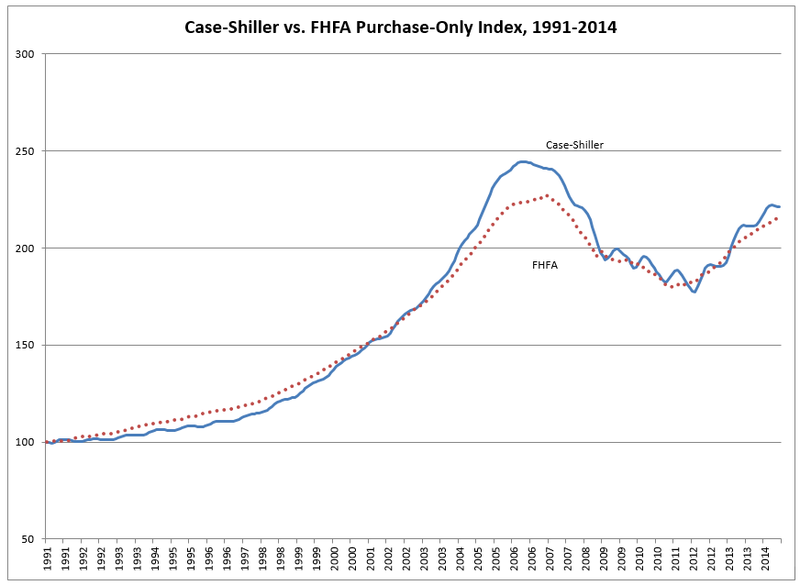 The FHFA Home Purchase index starts at 101 for Q1-1991. When you say the bubble was bigger than any in history (“by 2000”), the index was 136.88 in Q1-2000. Over that nine year period, that annual nominal home price appreciation of about 3.55% (about normal, FHA uses 4% in perpetuity in its reverse mortgage model). So, I don’t see any bubble yet? Then from Q1-2000 (136.88) to the peak of the index Q2-2007 (226.63), the annual home price appreciation rate roughly doubles to 7.20%, over that 7.25 year period. I agree, that looks bubbly. But massive? For the 16.25 year period from Q1-1991 to the peak Q2-2007, you have annualized home price appreciation of 5.16% a year, that’s just 1% a year over FHA’s 4% annual, nominal home price appreciation assumption that the government itself uses to underwrite reverse mortgages (and it’s supposed to be a conservative figure). Everything I read and hear, says that housing prices are going to continue to rise at very smart rates for the next few years. In fact, I would go so far as to say that the market in my home state is on fire…..at, near, or exceeding all-time highs in many areas. Do we have another massive, unsustainable bubble today? 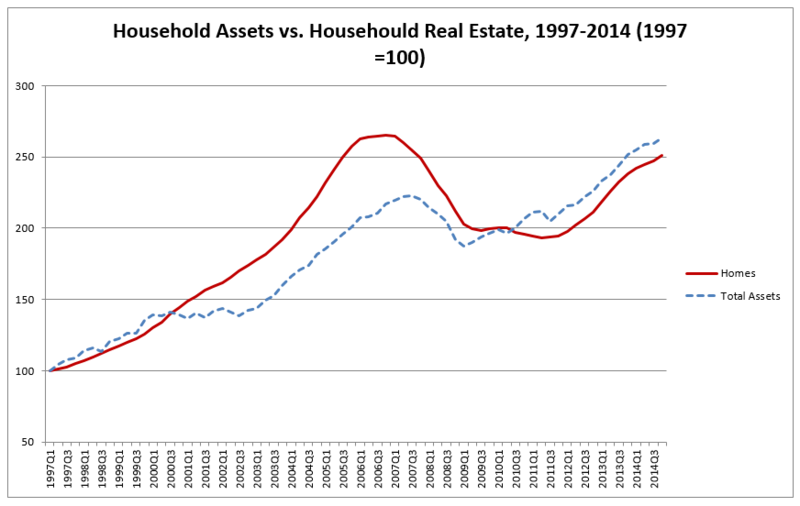 And you produced the Fed chart showing that as nominal home prices recovered post Q1-2011, they are in line with nominal value increases of households other assets (like stocks and bonds). 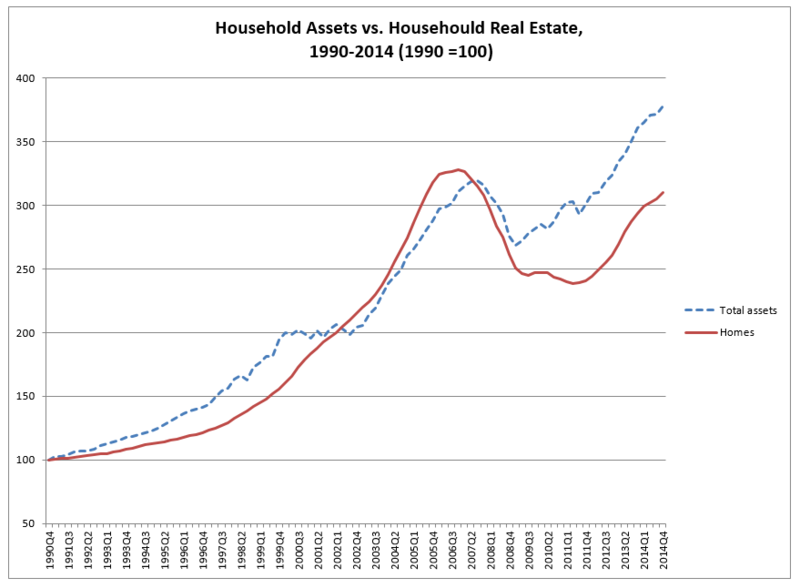 So, if we have a massive housing bubble again today, we probably also have a similar asset bubble in stocks and bonds? And if that’s the case, then NTMs (which I agree hurt in the housing price downturn) probably weren’t a big part of the housing run-up pre-crisis and its more likely that the Fed’s policies (or other macro events) are the cause of these asset bubbles? P.S. Not sure, but it’s possible that the real bad guys might be the short sellers/speculators (and not the well-intended, but misguided government housing policies or the private banks and mortgage lenders who were forced to adapt to their and the Fed’s market manipulation)? Posted on April 14, 2015, in Postings. Bookmark the permalink. Leave a comment.